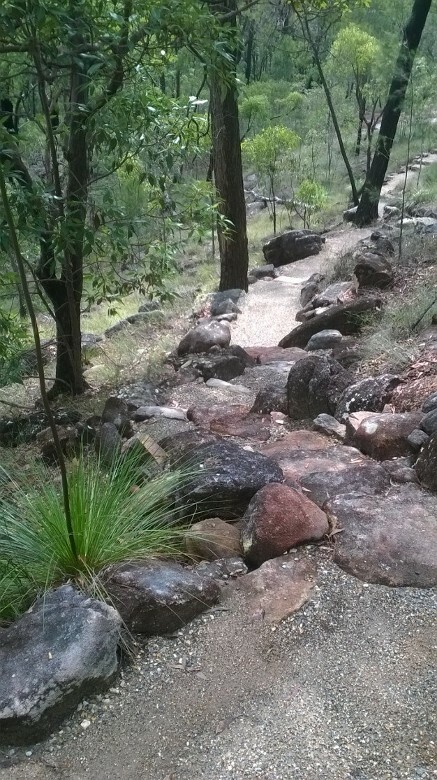 Bushland walking tracks and trails are a great way for park visitors to experience natural environments whilst confining their footprint to a minimum. 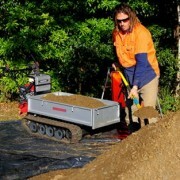 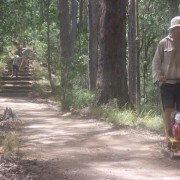 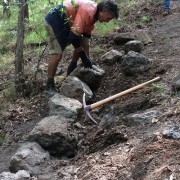 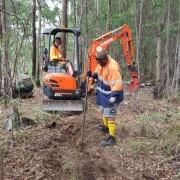 Bushcare Services construct tracks to typically conform with standard codes (track construction/ reconstruction works of Australian standard AS 2156-2001) to accommodate different user categories. 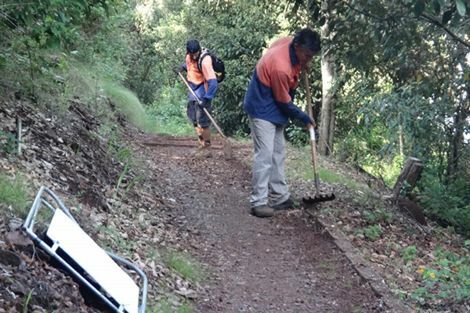 We work with Councils, National Parks agencies and developers who are interested in developing new track networks, consolidating existing networks or reconstruction and maintenance of track assets. 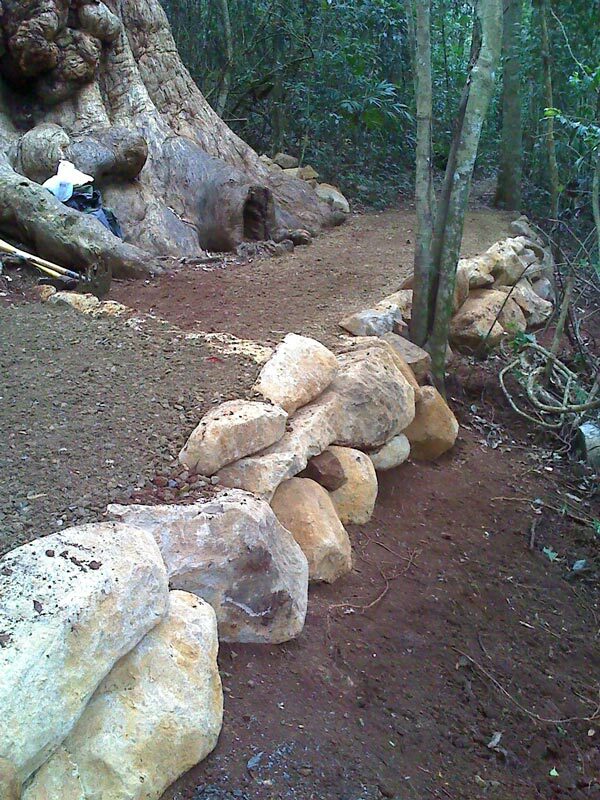 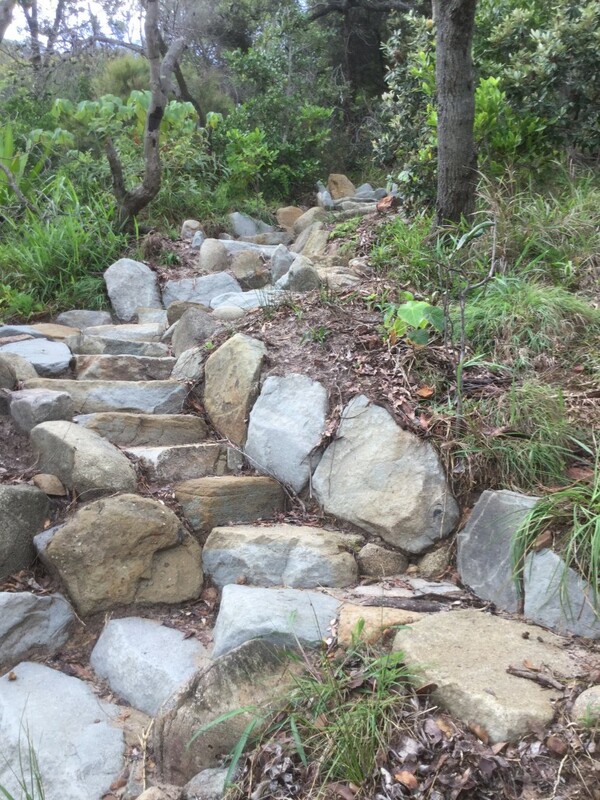 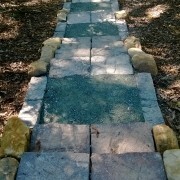 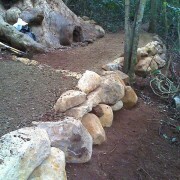 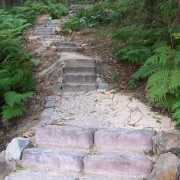 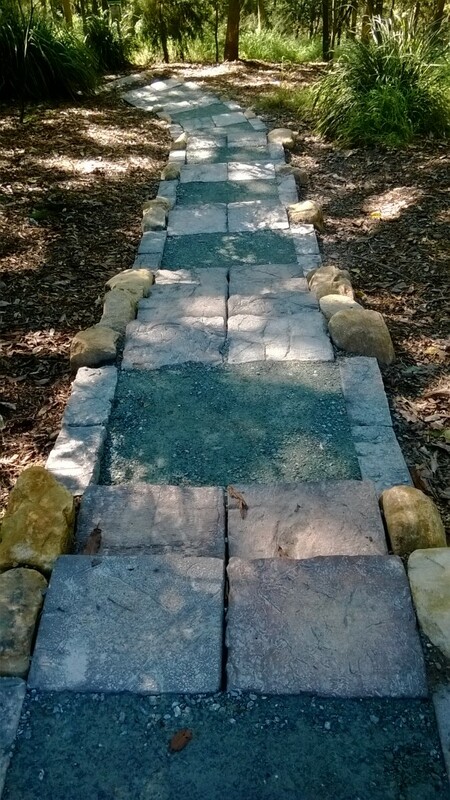 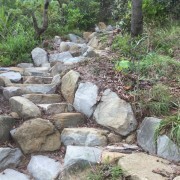 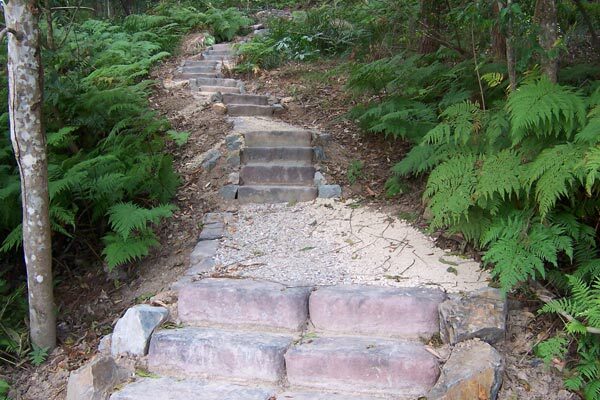 Natural earth trails that may incorporate toe stones, natural drainage and treads – both natural and natural looking pre-fabricated rock. 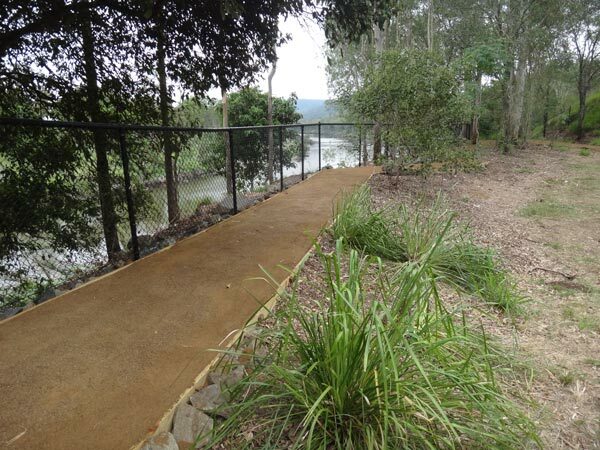 Timber boxed multi purpose walking tracks using road base and/or decomposed granite. 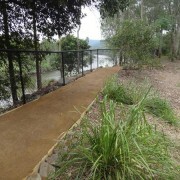 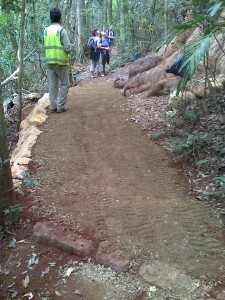 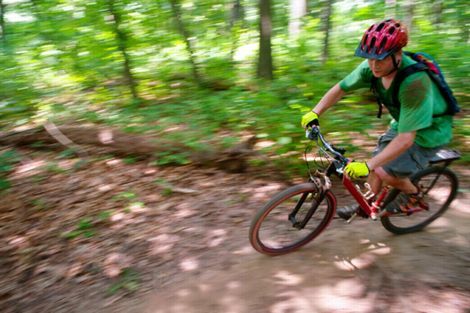 Multi-user graded tracks – to accommodate user groups such as horse riders and mountain bike riders. 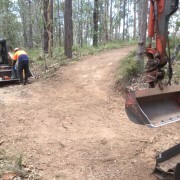 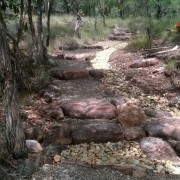 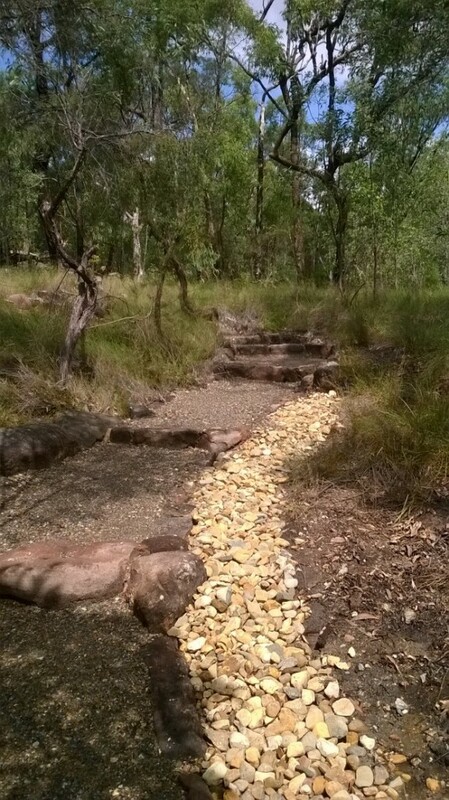 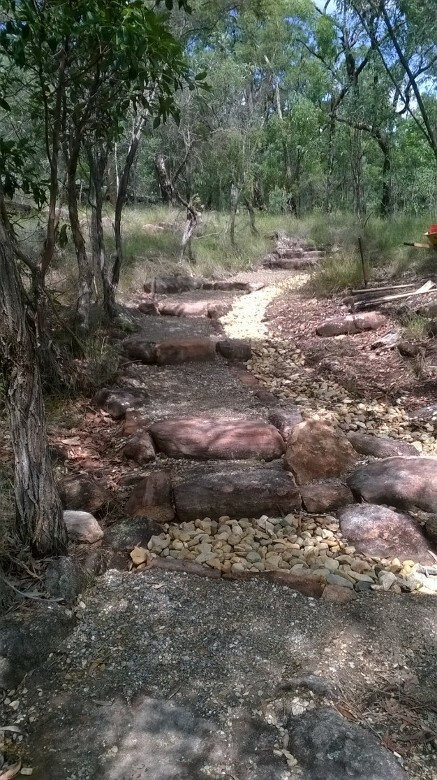 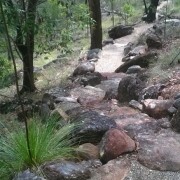 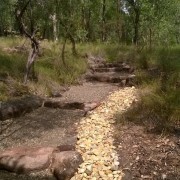 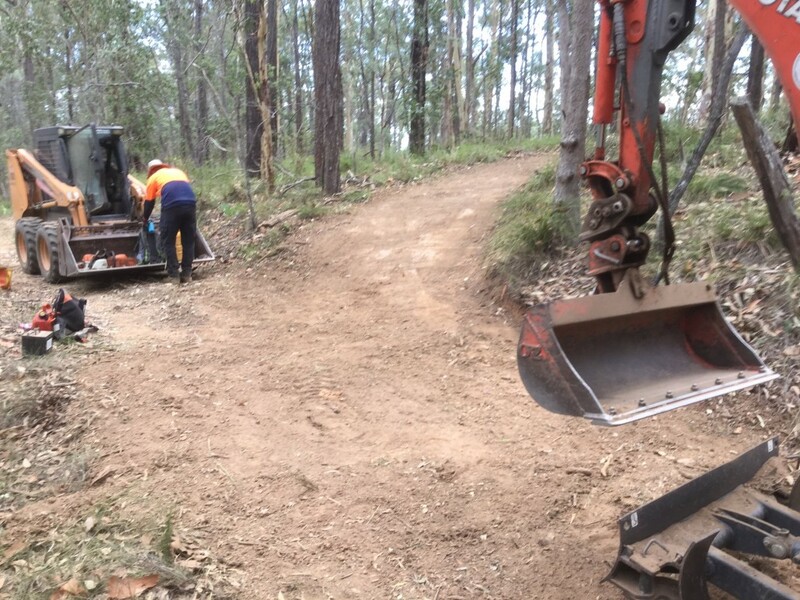 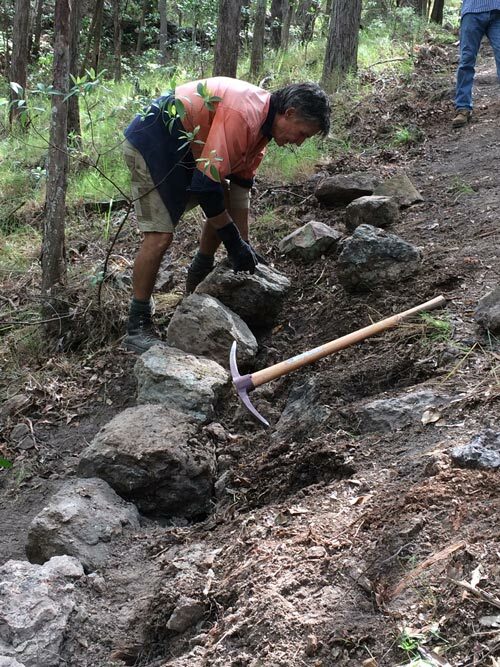 Constructing – maintaining bushland fire trails (eg developments) to spec, maintaining track drainage and installation of track hardening products for difficult boggy areas. 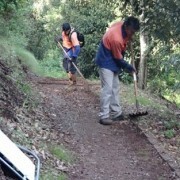 Track design and surveying levels to establish best routes and surveying standard treads heights to spec. 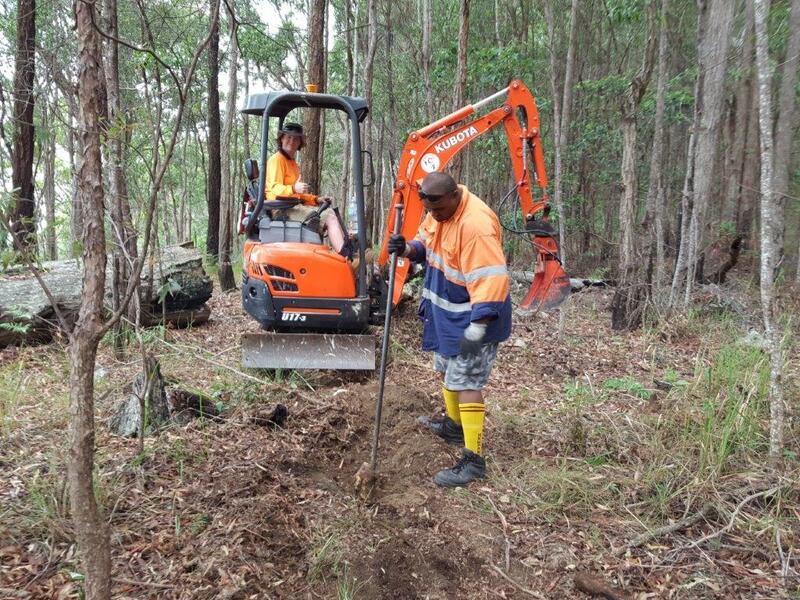 Did you know that Bushcare Services has a construction division that can also install and maintain park assets for nature-based recreation, park visitor facilities and access consolidation? 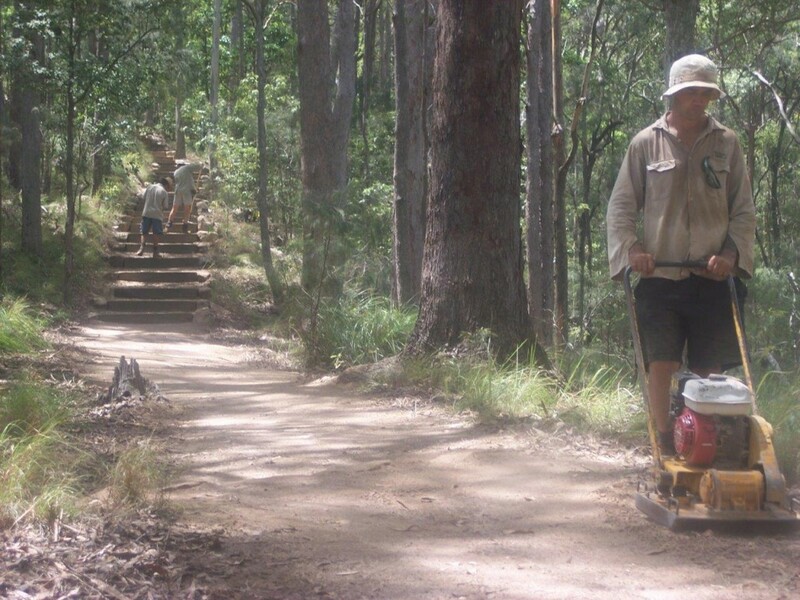 Our construction team has a long collective history of track work. 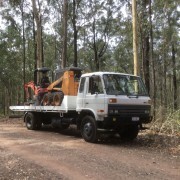 We use plant equipment to match the job and access. 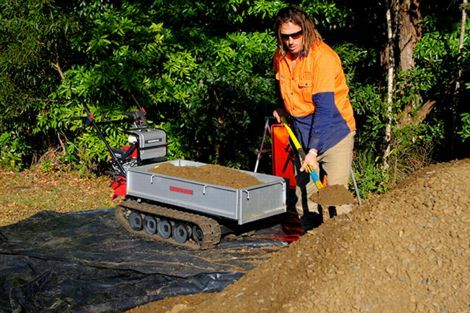 This includes compact bobcat, excavator and all terrain hopper. 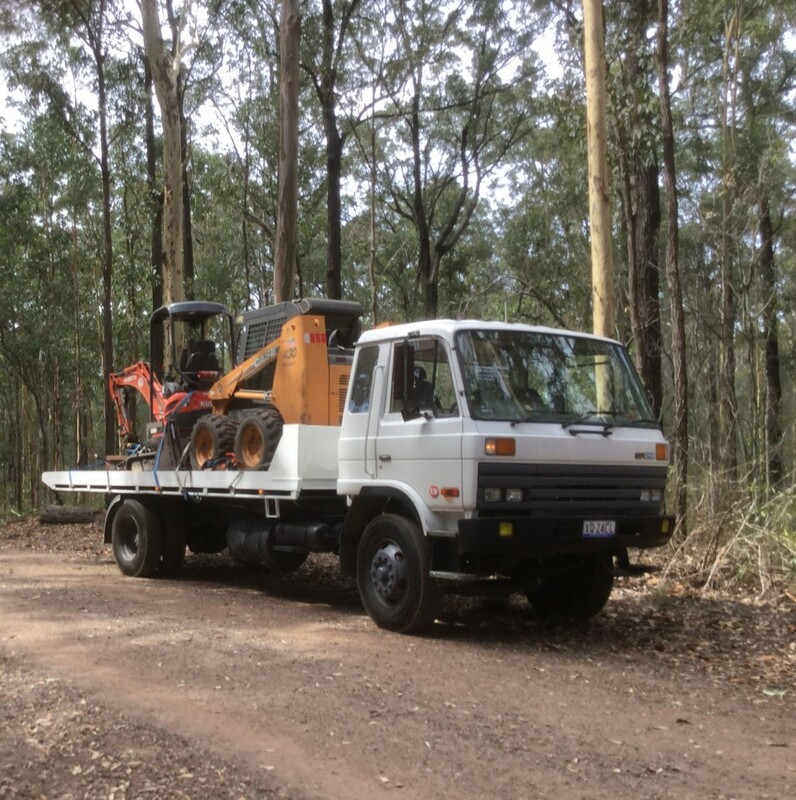 Chat to us about the range of products that we can source or supply for track management – there is a solution for everything.